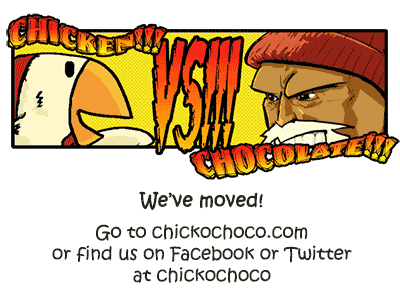 Chicken is now at Chickochoco.com, where he’ll be pitting his, ummm, wits against a new character created by my friend EEK. Please join us there for more madcap adventures! And probably better art!